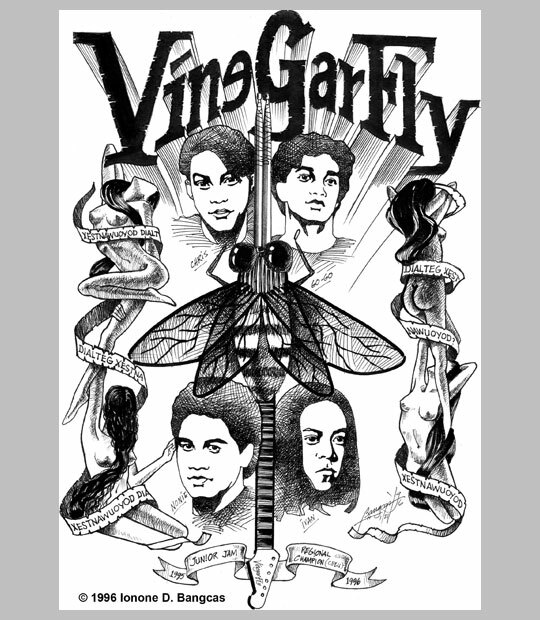 Vinegar Fly Caricature. 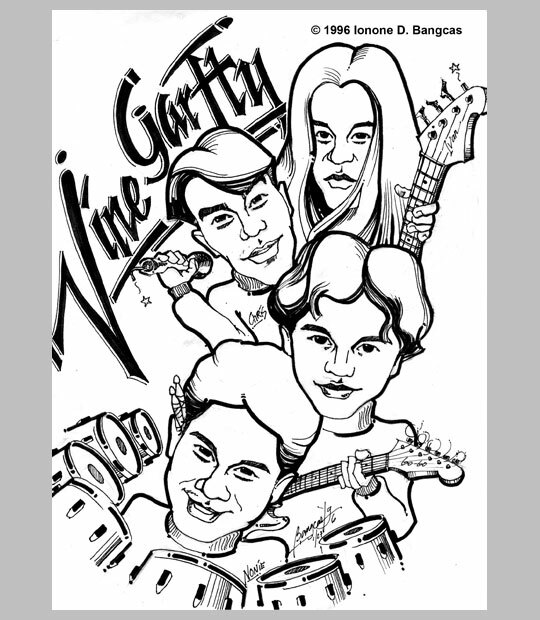 This is the last artwork I would ever do for the band. We looked like we were having a lot of fun. We were! This was done right after the first one above. Ten years after this we would lose our much-loved singer and friend, Christopher Abella to kidney disease. He left us last September 1, 2006. Please honor his memory by viewing his tribute videos at: www.youtube.com/rockNrollmobster.